The Australian Government carbon tax starts in July 2012 and some of the big polluters do not have any viable alternative but to pay. In particular power companies are stuck with coal. A great many businesses seem unaware that they do have a viable alternative to paying any carbon tax that big polluters may want to pass on to them: Big power companies might well be stuck with coal, but Australian businesses are not stuck with these big power companies. The City has an ambitious plan to reduce greenhouse gas emissions by 70 per cent by 2030 which can also cut electricity bills for NSW consumers. At the moment, 80 per cent of the City of Sydney’s emissions come from the production of electricity by coal-fired power stations in the Hunter Valley. Two thirds of the energy being used by these stations is wasted as heat from the cooling towers and on long-distance transmission over power lines to Sydney. The City’s goal is to produce 70 per cent of its energy needs locally from trigeneration plants. These local generators are nearly three times more energy efficient than coal-fired power plants because they use the waste heat from electricity production to both heat and cool buildings. Shopping centre management and shop-owners at the “Thick Shopping Centre” and “Not-So-Thick Shopping Centre” in nearby suburbs of any Australian city make different choices about the carbon tax that starts in July 2012. At the Thick Shopping Centre, the shopping centre management pays for electricity from its existing supplier and passes on the cost of the carbon tax to the shop-owners who operate in the shopping centre. The shop-owners continue to buy electricity from their existing suppliers too, pay extra because of the carbon tax, and pass both this cost and the extra costs of the Thick Shopping Centre management on to their customers. At the Not-So-Thick Shopping Centre, the shopping centre management installs a trigeneration system that generates power, heat and cooling for the whole shopping centre. It saves money on its power bills, and passes these savings on to the shop-owners who operate in the shopping centre. The Not-So-Thick Shopping Centre Management trigeneration system also generates enough power to supply the shop-owners who operate in the shopping centre. The shop-owners at the Not-So-Thick Shopping Centre decide to buy their power at the reduced price offered by the shopping centre management, and pass both this saving and the extra savings of the Not-So-Thick Shopping Centre management on to their customers. Customers of the Thick Shopping Centre quickly learn that they can enjoy great savings by doing all their shopping at the Not-So-Thick Shopping Centre. Carbon tax: a lot of fuss about nothing. Nothing is the amount of carbon tax shoppers pay at the Not-So-Thick Shopping Centre. In December 2011 the Australian Government announced the release of an Energy White Paper. However the Australian Government made no announcement of a number of significant energy policy papers prepared on the on the same date. No announcement reveals "The cost of road freight transport is expected to increase in the next decade because there are fewer unrealised fuel efficiency gains available to offset rising oil prices...."
The impact on business, consumers and rural producers may well far exceed that of any price on carbon. Yet the Australian media ignores this serious issue and remains fixated on the "Carbon Tax". This is likely to be little more than a minor irritant in comparison to the expected increase in the cost of road freight. The Australian media is also doing little or nothing to inform business, agricultural interests and industry of measures being taken to provide transport energy security and stable fuel prices. The Australian Government released the Strategic Framework for Alternative Transport Fuels (the Framework) on 13 December 2011. The Framework was developed in consultation with industry, government and other stakeholders throughout 2011 and is an input to the Energy White Paper development process. Information about the Energy White Paper process is available at www.energywhitepaper.ret.gov.au. providing leadership and certainty through the: application of Alternative Transport Fuels Principles; continuation of coordinated policy approach; the collaborative review of guidelines to remove unintended measures that could limit feedstock and technologies; and establishment of relevant advisory mechanisms. The final document listed on the above web page is entitled "Possible Futures: Scenario Modelling of Australian Alternative Transport Fuels to 2050". The extent to which transport fuel self sufficiency remains at this level or improves further is largely dependent on whether there are strong social and economic factors driving alternative fuel uptake. ...If no alternative fuels are developed at all, Australia’s fuel self-sufficiency will decline to 35 percent by 2030. The whole cost of road passenger transport (cents/km) is projected to be fairly stable into the future due to fuel efficiency improvements, alternative fuels and improving technology that act to prevent costs from rising. The cost of road freight travel [sic, transport] is expected to increase in the next decade because there are fewer unrealised fuel efficiency gains available to offset rising oil prices, total road freight costs are more sensitive to fuel price changes and that sector is assumed to pay a carbon price on diesel. The paper has failed to recognise the decision of Shell to close and demolish the Clyde Oil Refinery by mid-2013. This refinery meets about 50 per cent of the petroleum needs (petrol and diesel) of New South Wales. A constant theme during the course of the discussions on gaseous vehicles related to the absence of natural gas refuelling infrastructure and the difficulty of investing in this infrastructure without any certainty around the timing and quantum of future demand. Essentially, this demand uncertainty means that investment in natural gas refuelling infrastructure is not able to be justified on commercial grounds given the likely substantial lag between deployment of capital and realisation of income from fuel sales. Participants pointed to the fact that this dilemma – commonly referred to as the ‘chicken and egg’ scenario – was seriously retarding growth of the market. This cluelessness on how to introduce new fuels makes a joke of the Department's statement on the role of the Australian Government Strategic Framework: "providing leadership and certainty". Luckily the Australian Government that replaced leaded-petrol vehicles and infrastructure with unleaded petrol was not so challenged for ideas on how to go about providing leadership and certainty. Nevertheless, the Department of Resources, Energy and Tourism illustrates the Australian Government still has some capacity for forward-planning. This is demonstrated by the extract shown of the table below. 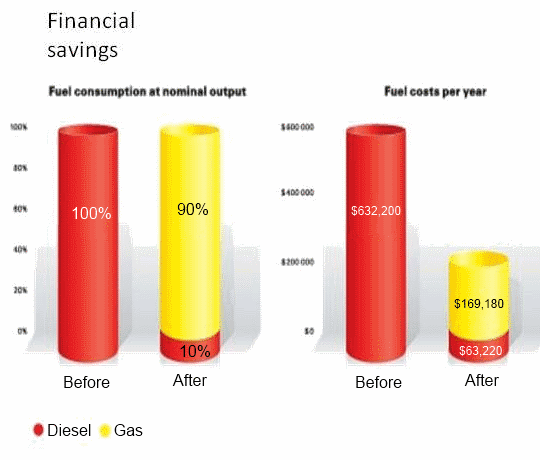 This is from page 2 of a document on its web-site "Paper 2: Summary of current government policies and programs relating to alternative transport fuels in Australia". Another day, another carbon dioxide tax shock for Australians. According to a frightening report in The Daily Telegraph, Australians are paying one of the highest prices in the world for electricity and that price is set to soar when the new tax kicks in from July 1 and other agreed price increases take effect. The newspaper’s consumer watchdog, John Rolfe says Australians pay 130 per cent more for electricity than Canadians, and that will premium will rise to 250 per cent in coming months. Research prepared by the Energy Users Association of Australia – which represents 100 big power users including BHP, RailCorp, Coles, the Commonwealth Bank and Brisbane City Council - claims household charges are already 70 per cent higher than the American average, a figure that will grow to 160 per cent in two years. Japanese, British, French, Irish and New Zealanders all pay less than we do. It explodes the myth that Australian electricity is relatively cheap. Rolfe also found that recent claims by Energy Minister Martin Ferguson that said Australians pay less than the OECD average, relying on a document called Energy In Australia 2012, which his department’s Bureau of Resources and Energy Economics (BREE) published three weeks ago – uses outdated figures. The electricity prices it cites are from 2009-10. In 2010-11 alone the national price rose by 16 per cent; the NSW jump was 23 per cent. The numbers used to compile the document Mr Ferguson relied on put the NSW average at 18.55c/kWh – but households are actually paying regulated rates as high as 28c/kWh. The average NSW household’s annual cost for electricity would fall from $1700 to less than $700 if our prices were the same as in Canada. When the carbon dioxide tax is introduced from July, along with furtther network price increases and renewable energy subsidies, our prices will be challenge Denmark and Germany as the most expensive in the world, according to the EUAA. Carbon Market Economics, which examined global prices, found Australian power prices had risen about 40 per cent since 2007 and would rise by another 30 per cent over the next two years. It found that, even using 2007 currency exchange rates, Australian households still paid more than those in Japan, US, Canada and the average of the EU. Carbon Market Economics comparison of prices in 92 jurisdictions - including more than 35 countries, American states and all Australian states and territories - found NSW ranked fourth behind Denmark, Germany and South Australia. Victoria was fifth and Western Australia was sixth. The ACT was 21st. This smells like another Gillard-Labor-Green-Independent cover-up. No-one will be surprised. 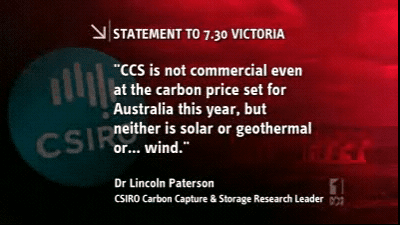 This excuse for a government relies on the Greens and the Greens policies insist on the use of renewable energy. Australians are subsidising this lunacy. Green renewable energy will kill business and industry and make power unaffordable for the public. Globally, less than one per cent of energy is produced from wind or solar because it is prohibitively expensive but the Greens don’t understand economics and the Gillard government will not stand up to the Greens. This madness must be stopped while some industry still exists in Australia. We have access to the cheapest coal resources in the world yet we are cutting our own economic throat by pricing our power at the highest level. Miranda Devine's article "Has science become an alternative religion?" copied below equates environmentalism with science. These are not the same thing. @Askgerbil Thanks for writing this Askgerbil. You make some salient and compelling points. Dakota Gas owns the Great Plains Synfuels Plant in Beulah, North Dakota that has operated since 1984. It produces synthetic natural gas from brown coal. Dakota Gas captures and sells CO2 produced at the plant. CO2 from other power plants is very wet and diluted with nitrogen and oxygen and requires further processing, but Dakota Gas' process results in a CO2 stream that is very dry and 96 percent pure, so no additional processing is needed. Environmentalists oppose this technology. This group believes reliance on non-renewable energy resources must be ceased without delay. Note that this rejection of fossil fuels is quite separate from any risk of climate change that may or may not be caused by burning fossil fuels. The fossil-fuel industry has an obvious lack of enthusiasm for this technology that gives us such a dramatic increase in energy efficiency. It results in demand for coal dropping by 50 per cent. For examples of savings in energy costs that result from using the technology described above, read more at A Tale of Two Shopping Centres. Environmentalism has only a vague acquaintance with logic. This distinguishes it from science. For instance, it believes renewable energy technology is "necessary" even though it is clearly incapable of slowing growth in global demand for coal. Faced with this chronic failure, environmentalism still rejects out-of-hand available technology that halves the demand for coal. Logical thinking is not in evidence here. Environmentalism would prefer making no progress at all than get halfway to the "necessary" goal if this involves any use of despised fossil fuels. Just as the environmentalists do not rely on climate science to justify their dislike of fossil fuels, the marketers of fossil fuels do not need climate science scepticism to justify their dislike of energy-efficiency technology that reduces the demand for fossil fuels. However, it is logical to change a debate to a subject that cannot be quickly answered. A debate in which the coal industry argues we should reject the available technology to reduce the cost of energy would be over very quickly. "The Kyoto Protocol, if implemented, reduces emissions by a mere five percent among industrialized nations only. But this would have a devastating effect on the economy of our nation." 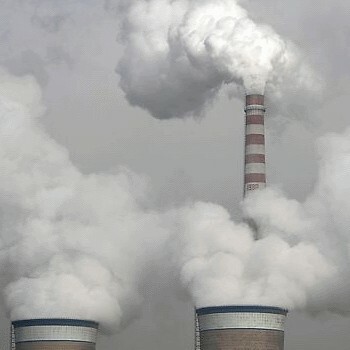 "It is not possible to reduce carbon dioxide emissions, much less to stabilize or reduce atmospheric carbon dioxide concentrations, without severe restrictions on the use of coal, oil, and natural gas. This means a global regime of severe energy rationing, because it is not possible to replace these essential fuel sources with technology that is currently available and affordable." "The use of coal and hydrocarbon fuel has another, more obvious effect: fueling the agriculture and industry that lifts billions of people from poverty and misery. Without abundant, economical sources of energy, millions of people would die and millions more would be reduced to dire poverty." Has science become an alternative religion? THE three wise monkeys of Australian climate science, professors Will Steffen, Matthew England and David Karoly, posted a self-justifying report on the Climate Commission website last week linking recent floods, heavy rain and low temperatures to global warming. "The science behind southeast Australia's wet, cool summer" is their explanation for why the much-ridiculed predictions of endless drought by fellow climate activists, such as Climate Commissioner Tim Flannery, failed to materialise. "The wetter conditions experienced in southeastern Australia in the last two years are consistent with scientists' knowledge and understanding of how the climate is changing in the long term," they write. It's just the media that got it wrong. "Most parts of Australia have experienced exceptionally heavy rains over the past two years, filling many dams around the country ... There has been much confusion in the media about what this means for climate change." It's a pity these scientists weren't so proactive when the media was lapping up Flannery's Armageddon forecasts. And no, contrary to Malcolm Turnbull's claims last week, Flannery wasn't "verballed". It's a matter of public record that Flannery has warned of endless drought for years. In 2007 he predicted, "rainfall across eastern Australia will reduce until a semi-permanent El Nino-like (drought) state is induced". "Blind faith in alarmist predictions has serious consequences"
He urged desalination plants be built within 18 months. He claimed, "even the rain that falls isn't actually going to fill our dams and our river systems". 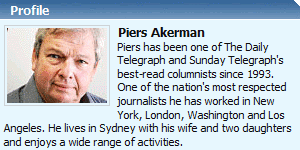 But through his best-selling book The Weather Makers, the Climate Commissioner influenced a lot of Australians. Blind faith in alarmist predictions has serious consequences. In last year's floods in Brisbane, for instance, we now know that engineers at the Wivenhoe dam chose to believe the doomsayers rather than the evidence of their own eyes and the actual weather forecast that told them the drought had broken and Dorothea Mackellar's "flooding rains" were back. Conditioned to believe permanent drought was the new reality, the engineers hoarded water. Instead of releasing it slowly and early, they waited until it was too late, and huge volumes of water escaping from the dam flooded Brisbane, engulfed 15,000 homes and businesses. The hapless engineers, now facing criminal charges, are the scapegoats. But the real culprits are opportunistic politicians and mad greenies, whose apocalyptic warnings supersede prudence and common sense. With just four months left until the advent of the carbon tax, the alarmists have regrouped. Without admitting any errors of the past, they blithely explain away the inconvenient truth of all that rain and ramp up Armageddon scenarios that justify the tax. With the IPCC's Fifth Assessment Report due next year, the hyperbole meter is set to screech. Historian Geoffrey Blainey, speaking last week, suggests science has become an "alternative religion". Research into his new book, A Short History of Christianity, leads him to think our attitude towards science in an era of technological advances is akin to religious faith, with gods to worship, a vehemence of belief, good and evil, heretics and saints. He says alternative religions have taken the place of Christianity, including communism, and nature worship. The third alternative religion is "science, its cousin technology and its god, reason". "Science has become incredibly powerful and influential, which is understandable. So much of our increased standard of living in the last 150 years has come from science and technology and understandably science is worshipped by a large number of people." MIT atmospheric physicist Professor Richard Lindzen also views climate alarmism as "quasi-religious". Climate alarmists want science to act as the servant of politicians pushing for carbon control. That is not the role of science. The debate that has raged for over a decade on climate science has turned out to be a fizzer. Do emissions from burning fossil fuels cause global warming? Apart from climate scientists publishing academic papers, no-one cares. Where did we go wrong in elevating this unimportant question into a major political debate? That effects of climate change caused by human activity will be beneficial. That any efforts to limit climate change caused by human activity would have dire consequences. We now know the second assumption was wrong. Academic climate scientists may continue to debate the first assumption for years to come, at their leisure. This is a problem that people will have to ask themselves. They'll have to say: What happens in the worst case? Energy generation with low emissions of carbon dioxide will NOT have a devastating effect on the economy and result in millions of people dying and millions more reduced to dire poverty. Energy generation with low emissions of carbon dioxide will reduce the cost of energy, boost economic activity, create jobs growth and help to reduce poverty. This is THE RIGHT policy response. If people can't rely on statements like "most scientists agree" and so forth, like that, with an issue of this complexity, how are they supposed to come to an opinion on it? How should people come to some conclusion when scientists disagree? I think this is a problem that people will have to ask themselves. They'll have to say: What happens in the worst case? Supposing the scientists who say it will warm are correct, is that good or bad? And the answer is: If it warms, it will be good. So what is the concern, really? Even if the warming should take place, and the warming will be noticeable...if that should be the case, if it is measurable, that does not mean that it is economically damaging. In fact, the opposite is true. But you might get, for instance, flooding in Bangladesh or in the [Maldive] Islands, or in southern United States. Those have to be scenarios. If you have a warming up,four or five degrees, those are possibilities, aren't they? We have to ask, what is the impact of a warmer climate? It's not the warming itself that we should be concerned about. It is the impact. So we have to then ask: What is the impact on agriculture? The answer is: It's positive. It's good. What's the impact on forests of greater levels of CO2 and greater temperatures? It's good. What is the impact on water supplies? It's neutral. What is the impact on sea level? It will produce a reduction in sea-level rise. It will not raise sea levels. What is the impact on recreation? It's mixed. You get, on the one hand, perhaps less skiing; on the other hand, you get more sunshine and maybe better beach weather. Let's face it. People like warmer climates. There's a good reason why much of the U.S. population is moving into the Sun Belt, and not just people who are retiring. "She could have been dead for two to three days, doctors suppose," said the psychologist, who had rushed back to Moscow from vacation in Croatia after she couldn't reach her mother by phone. "The windows in her apartment on the sixth floor were wide open and every piece of furniture in the apartment smelled of burning" from the thick white smoke hanging in the air outside. Revich said the heat and smog were hardest on the elderly and those suffering from lung disorders. "Even after the heat is gone these people will be suffering from the consequences and we will see more and more deaths in the coming weeks," he said. Distributed energy generation produces energy at SUBSTANTIALLY lower costs than central power generation - either fossil-fueled or renewable. Mirvac’s Cambridge Lane development is saving its occupants around $1,000 a month on power bills. ...cut its greenhouse emissions [at an annual rate of] 120 tonnes of CO2, equivalent to greenhouse emissions from around 35 cars. In most locations in Australia delivered grid power costs between 17 and 18 cents per kwh. ...It is projected that the GridX power system will cost less than 10 cents per kwh. Immediate GHG reduction 33% - CO2 reduction per annum 250 tonnes. 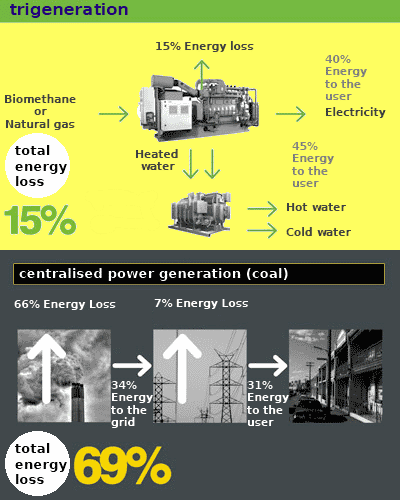 Distributed energy generation cuts CO2 emissions at a LOWER COST than renewable energy. Note that distributed energy generation can be fueled by fossil fuels, renewable fuels, or ANY COMBINATION of both. The Kyoto Protocol, if implemented, reduces emissions by a mere five percent among industrialized nations only. But this would have a devastating effect on the economy of our nation. It’s part of the anti-technology, anti-energy, anti-growth philosophy of the extreme "greens." 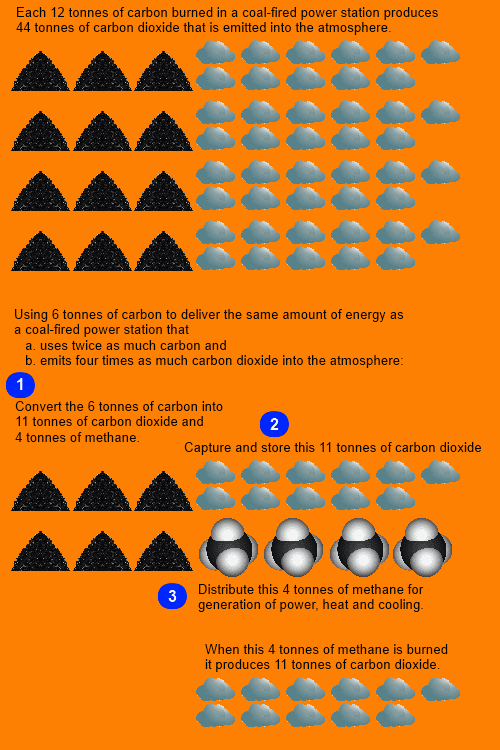 It is not possible to reduce carbon dioxide emissions, much less to stabilize or reduce atmospheric carbon dioxide concentrations, without severe restrictions on the use of coal, oil, and natural gas. This means a global regime of severe energy rationing, because it is not possible to replace these essential fuel sources with technology that is currently available and affordable. The use of coal and hydrocarbon fuel has another, more obvious effect: fueling the agriculture and industry that lifts billions of people from poverty and misery. Without abundant, economical sources of energy, millions of people would die and millions more would be reduced to dire poverty.